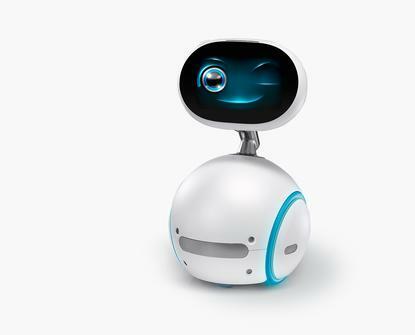 Called Zenbo, Asus pitched it as a personal assistant that can help look after elderly relatives or read stories to the kids, but that might be selling it a bit short. The robot is about two feet high and rolls around on wheels, with a display that can show its animated face or be used for other things like making video calls and streaming movies. 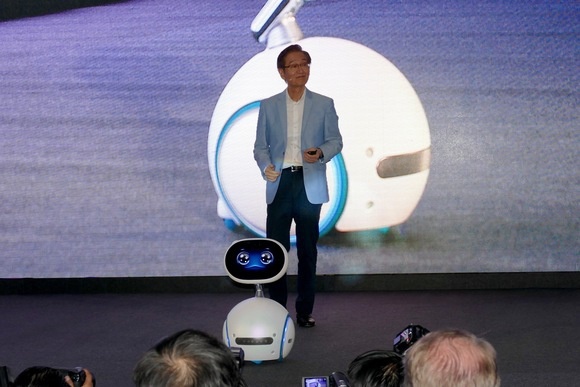 Asus Chairman Jonney Shih demonstrated Zenbo at a press conference in Taipei Monday, giving it voice commands and asking it questions is it rolled around the stage. “Hey Zenbo, is it true you can take pictures”? he asked. “Yes, I can take photographs,” the robot replied. He told Zenbo to take his photo with the audience in the background. Shih positioned himself on stage and Zenbo trundled over and took his picture. It was an impressive demonstration, assuming the Zenbo wasn’t being remotely controlled somehow from backstage. There was no word when Zenbo will go on sale and a spokesman said Asus doesn’t yet have a ship date. It wants developers to sign up for a software kit that will let them build applications for it. But Zenbo appears to be able to do quite a lot already. A big part of the pitch is caring for the elderly, which could be especially popular in nearby Japan, which is struggling with an aging population. Zenbo "helps to bridge the digital divide between generations" by allowing seniors to make video calls and use social networking with simple voice commands, Asus said. It can also connect to a smart bracelet and alert relatives via smartphone app if their elderly relative has a fall. It’s not something other robots haven’t done before, but it’s impressive that Asus will offer those capabilities for the price of a PC. For kids, Zenbo can read them stories, show videos and play interactive games. It’s tempting to think of Zenbo as an Amazon Echo or Siri on wheels, though it’s unclear if it will be as smart as those other digital assistants. It does attempt to answer general knowledge questions, though. “Hey Zenbo, who is smarter, Leonardo Da Vinci or Albert Einstein?” Shih asked at one point. “I’m sorry, I do not know the answer, but I will continue to work on my knowledge,” Zenbo said. It will also be able to dim the lights, turn off the TV and control other household appliances, according to Shih, though he didn’t say what technology standards it supports or how it will do that. In fact, Asus provided almost no technical details about the robot. After the demonstration, Shih was joined briefly by an Intel executive, suggesting Intel may have had a hand in its development. You can read more about Zenbo and watch a video of it in action here.